Our latest promotional video captures the construction of one of our amazing Tri structures at Dance Valley, a Dutch electronic music festival catering for 60,000 party people. We provided the Intec Digital stage at the heart of the festival, which amongst others saw Carl Cox play to a capacity crowd. Despite the extremely rainy conditions the stunning silver Tri provided a completely dry venue for almost 3,000 people. 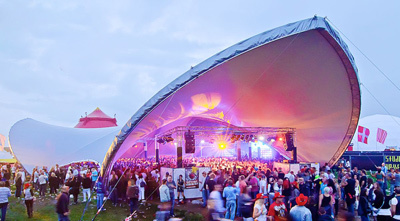 The event organisers were delighted by the awesome and unparalleled clear span structure which meant more people being able to enjoy the main acts. Check it out and don’t forget to view in crystal clear HD!